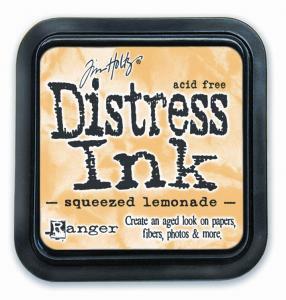 Tim Holtz Distress Ink Pads are acid free and fade resisitant, Squeezed Lemonade is a light, bright shade of yellow. High quality ink pads which will create a wonderful aged or worn look to many surfaces including wood, card, ribbon, cork etc. 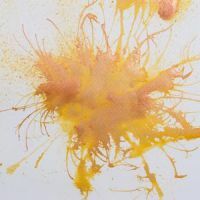 Use them with stamps or with an ink blending tool directly onto the surface, create fabulous effects by blending colours together for unique background designs.